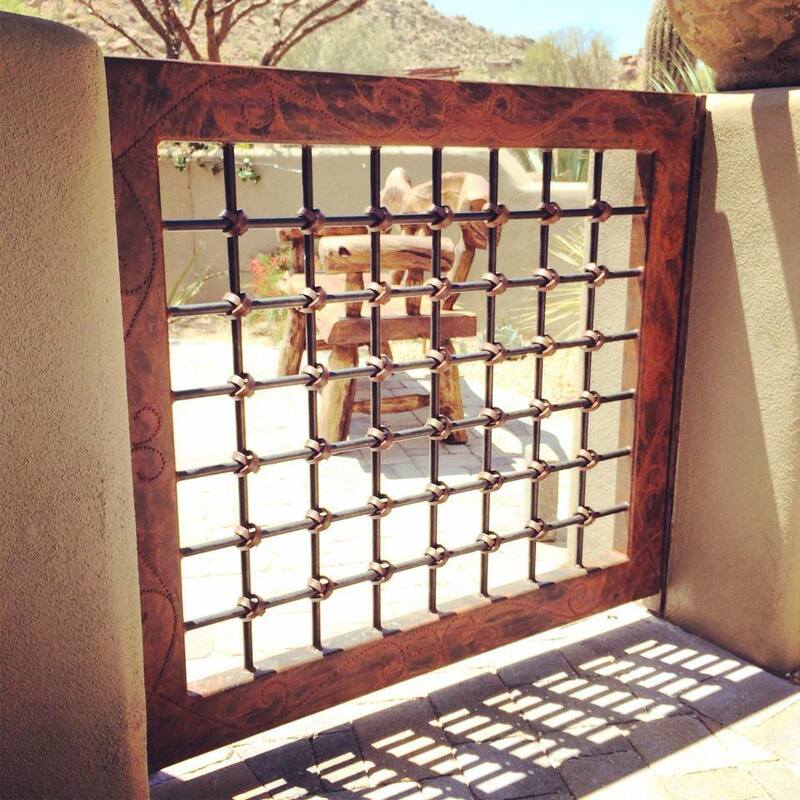 Here’s a steel patio gate we built for a customer’s home. The tube frame is decorated with a hand-welded pattern and the steel rods are tied together with decorative steel straps that look like knots. The rods are done in a blackened steel patina and the tube frame and knots are done in a rusty patina.